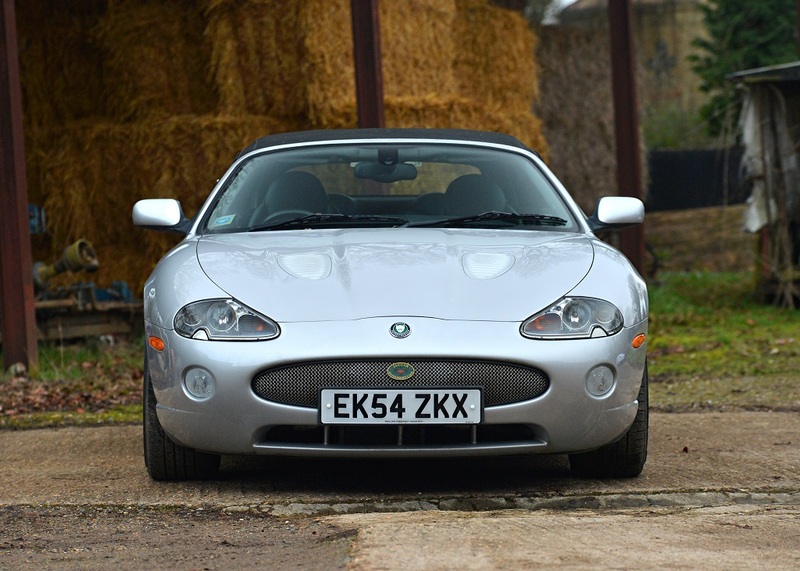 The XK8 is a grand tourer car that was launched in 1996 and was the first generation of a new XK series available in both coupé and convertible body styles and with the new 4.0 litre Jaguar AJ-V8 engine. 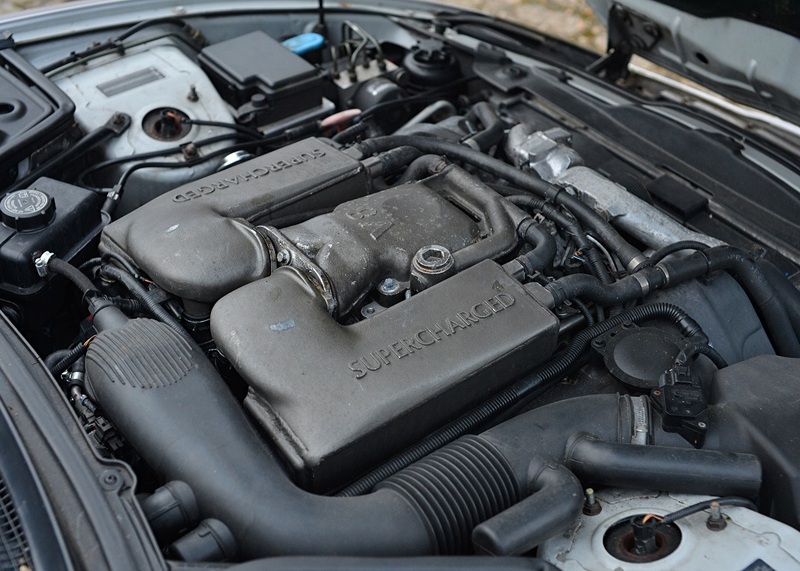 The 1998 XKR was introduced with a supercharged version of the engine. 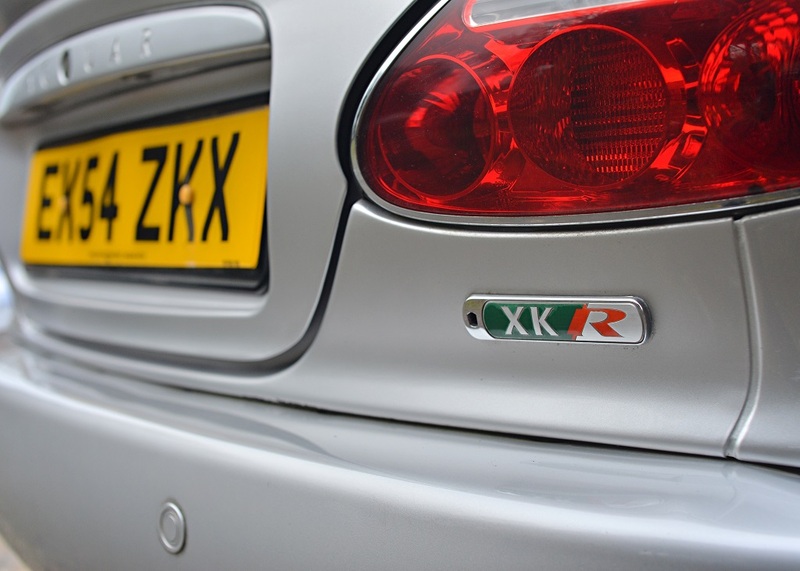 Both the XK8 and XKR are electronically limited to a maximum of 155mph; the top speed of its predecessor, the XJS V12, being 158mph. 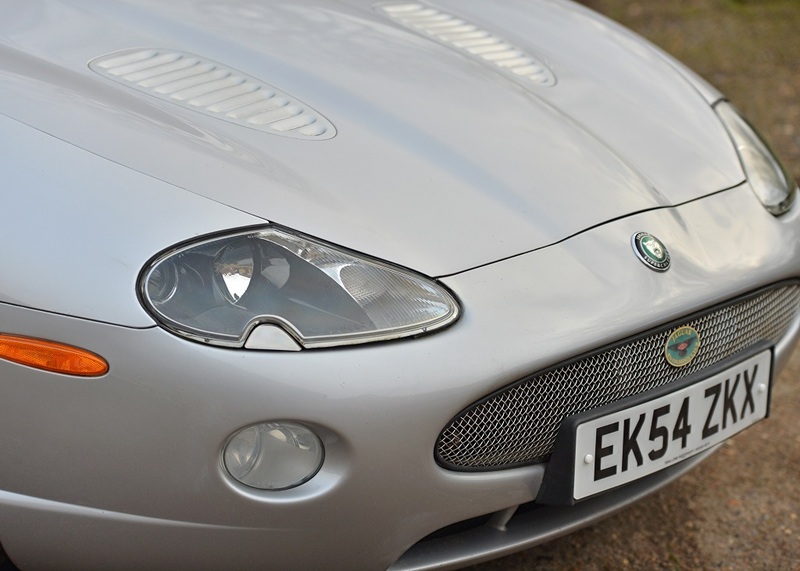 A navigation system and self-levelling xenon headlamps came as standard with the XKR with Jaguar’s adaptive cruise control as an optional feature available on both models. 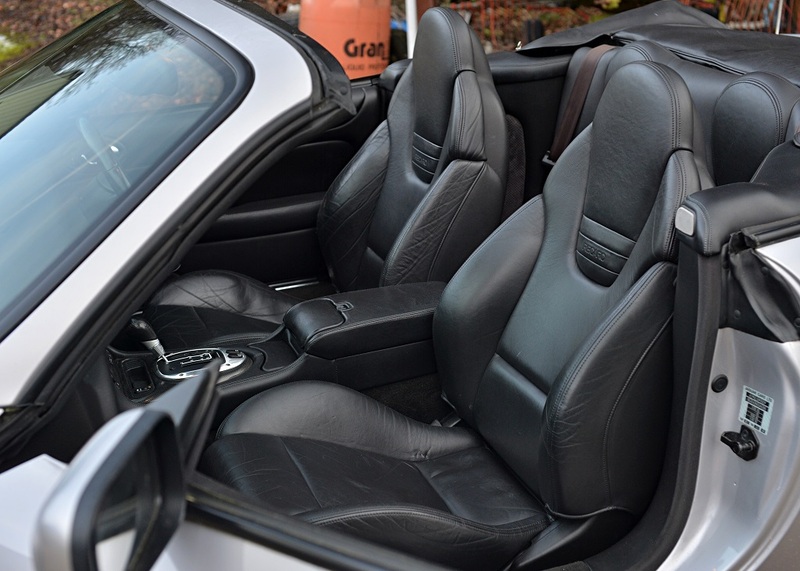 Both come with all leather interior, burr walnut trim and side airbags. 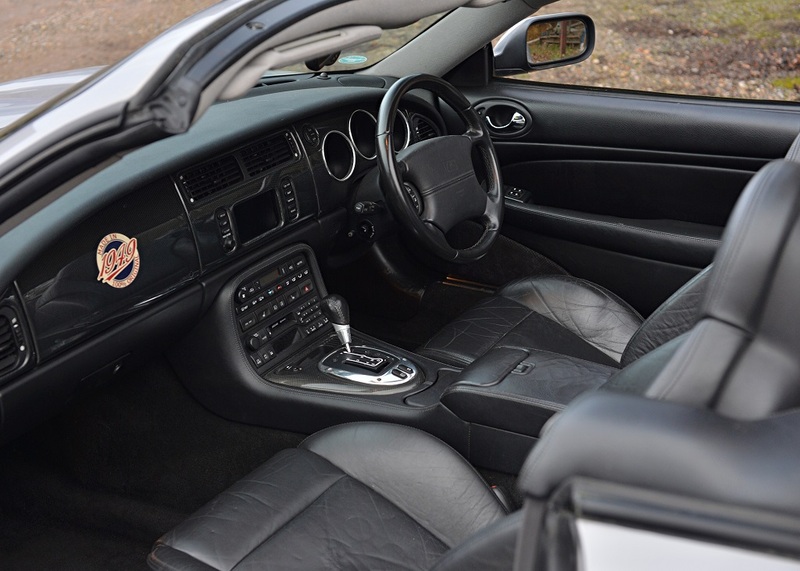 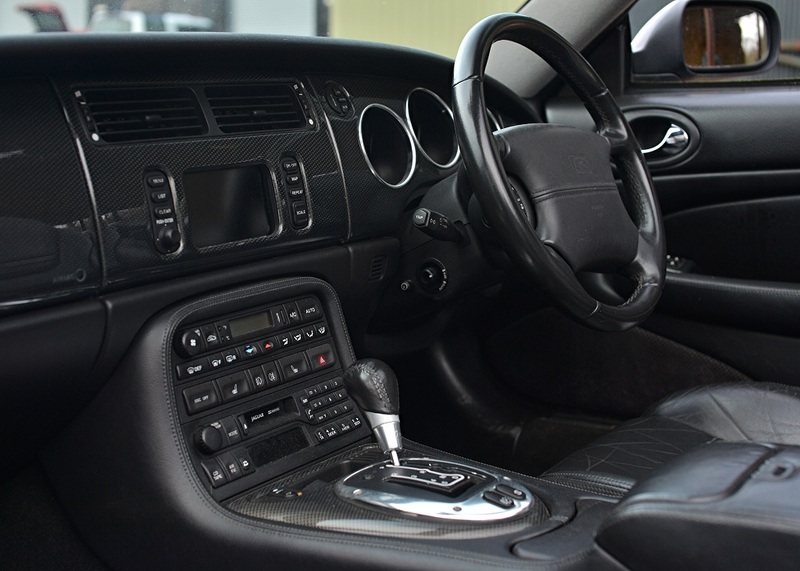 Jeremy Clarkson, during a Top Gear test drive, likened the interior of the original XK8 to sitting inside Blenheim Palace. 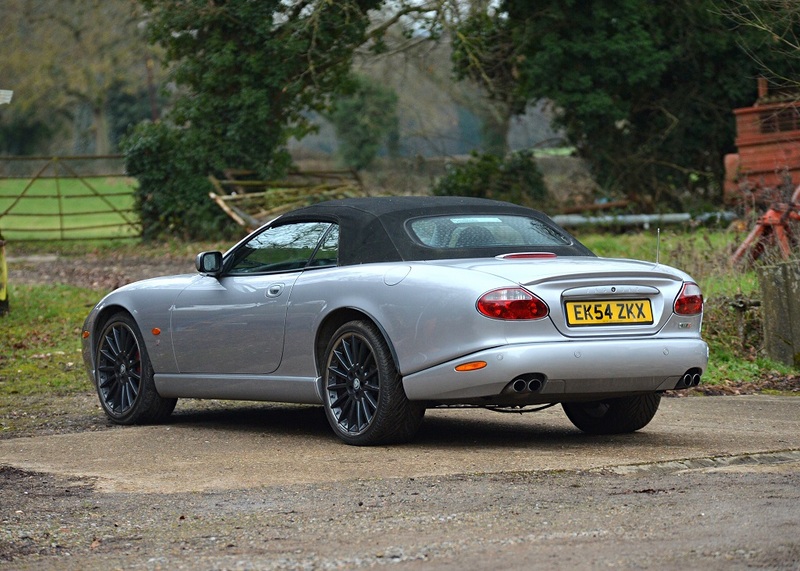 The Cardon Edition was offered by Jaguar in 2004 with only 100 cars produced. 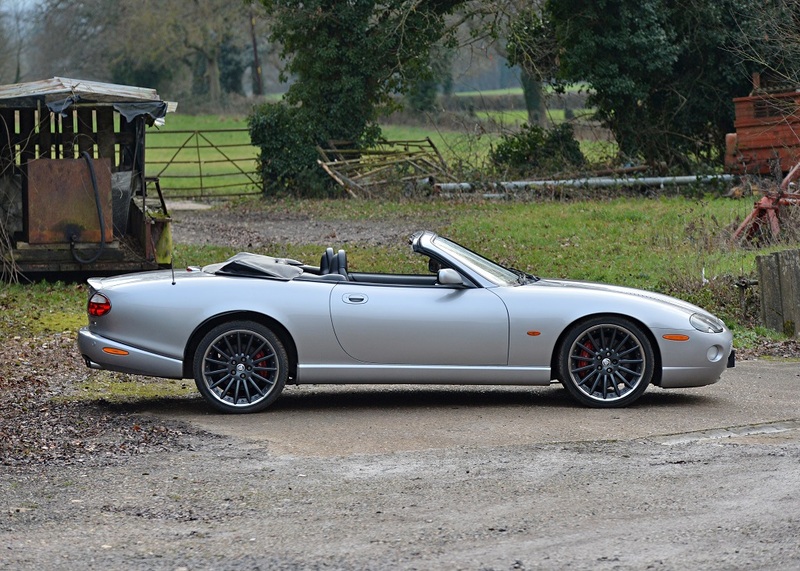 A split of 50 convertibles and 50 coupés were built, with the bonus for the lucky clientele having been invited at the time by Jaguar to a complimentary short break at Skibo castle or Bovey castle to celebrate their new purchase. 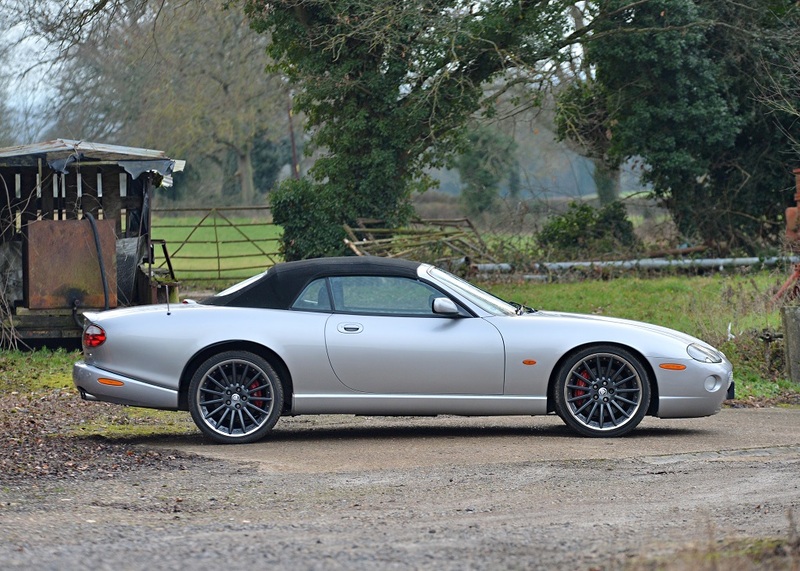 This rare, desirable 2004 XKR Convertible Carbon Edition was supplied new to a very high specification, finished in Platinum Silver the car came with Recaro embossed charcoal leather sports seats, carbon fibre dashboard and internal inlays, Jaguar steeled pedals, aluminium embossed door entry guards, charcoal carpets and leather door cards, Alpine stereo system, adaptive cruise control, full colour information screen with satellite navigation and black leather bound multi-functional steering wheel. 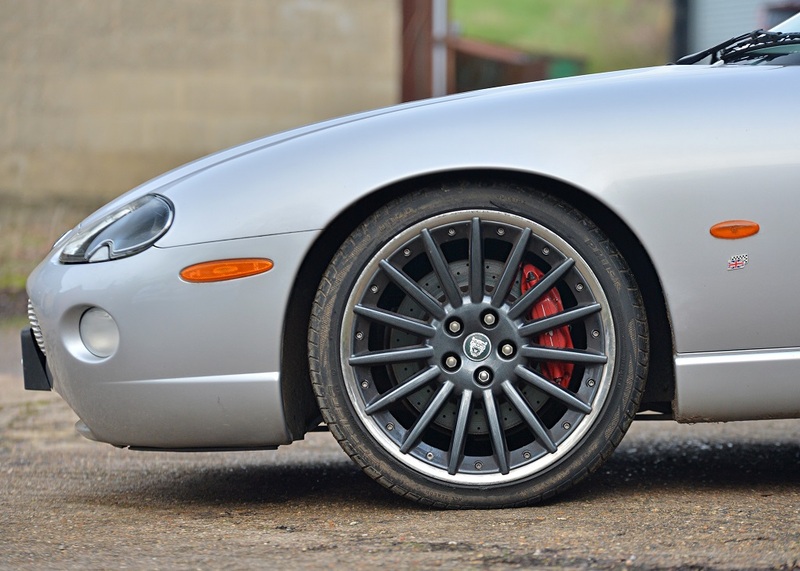 The exterior also well-defined with a modified nose with a bright silver mesh front grille, factory fitted 20-inch Sepang performance R split cast alloy wheels, four chrome exhaust tips, performance R embossed red brake callipers, rear parking sensors and the signature XKR body detailing and vents.This Jaguar XKR has covered approximately 114,000 miles from new and is supplied with a V5C registration document, an new MoT test certificate, three keys and a replacement service book. 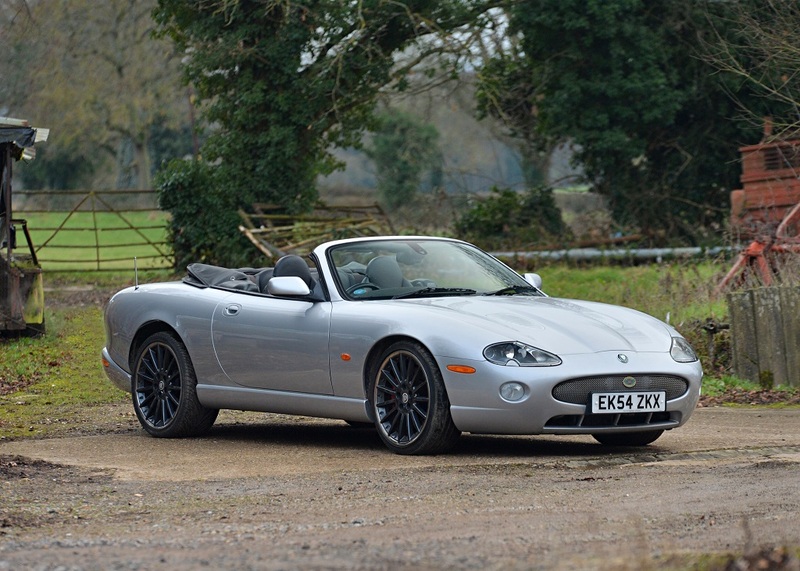 This now highly rare, modern day classic offers a unique experience into the heritage of Jaguar with examples such as this car being sought after by Jaguar enthusiasts worldwide.